is usually held every year in March and lasts about two weeks. The first Spring Festival was held on March 7, 2008 and featured flower gathering, the dances with races, drinking games with the Inn League, and the Feast of the Greenfields. 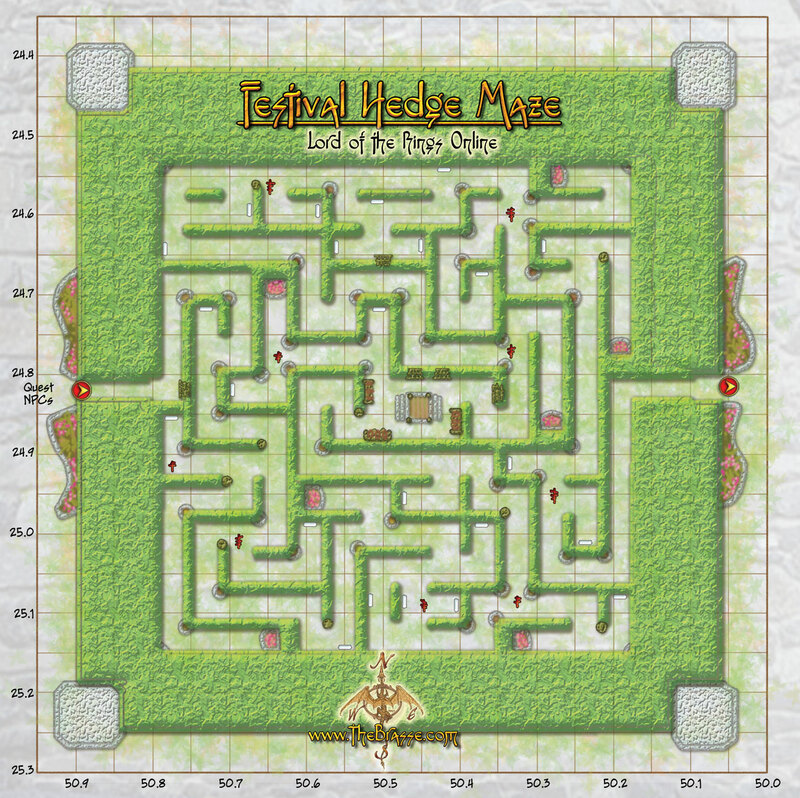 On March 24, 2009 during the second Spring Festival horse-racing was added to the event along with a hedge maze for adventures to explore and additional drinking games with the Inn League. Spring Festival 2010 was celebrated on March 24th and saw the introduction of the Festival Garden and the Stomp-a-Shrew event. The Inn League found themselves in competition with the dwarves of the Ale Association in March 23, 2011 with the fourth Spring Festival event. Also, addition quests were added to the hedge maze and notices were sent by mail to inform adventurers of the activities. Spring Festival 2012 didn't commence until May 24th. The ability to repeat the flower gathering as many times as you like was added that year. The currency of this festival is the Spring Leaf. Collecting these can help you buy the goodies listed in the rewards section below. The quests are mostly broken up into five major regions in Middle Earth. These are where you will find the festival vendors as well as other festival activities.